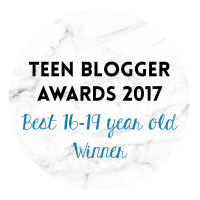 When looking at a piece of jewellery how do you decide whether you are going to buy it or not? Do you decide based on the price? Appearance? Packaging? Slogan? I do all but not all. 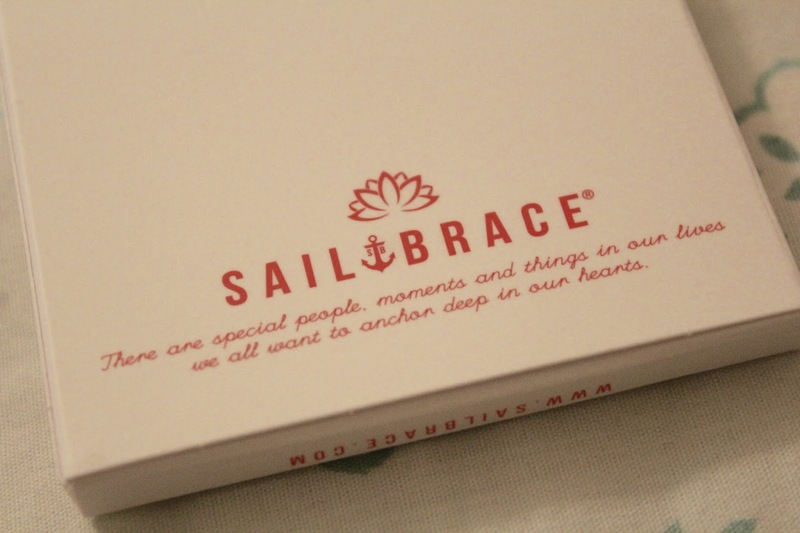 What first attracted me towards Sailbrace.co.uk was their slogan 'Anchor yourself to something special' I fell in love with the words and to me it had such a beautiful meaning. The slogan itself had made me want...need one of these bracelets but with such a large range of colours how was I supposed to choose? 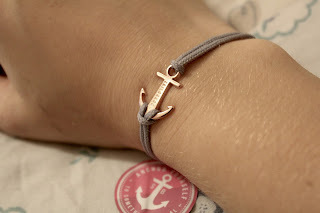 I based my decision on the anchor itself as I owned a lot of Gold and Silver Jewellery but not yet Rose Gold. Being a typical blogger I obviously was drawn into this. 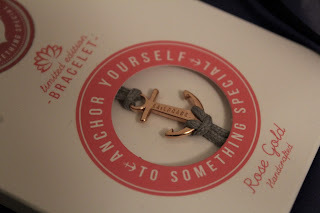 I then had the hard decision of the strap/rope however I went with something slightly neutral compared to that of the Rose Gold, so that the anchor was the main feature. I have been wearing my Sail Brace bracelet for about a week now and I have to say it is the comfiest thing I've ever worn, half the time I forget I'm wearing it! Obviously the bracelet isn't waterproof because the 'strap' would get ruined but because it can easily be tied and re-tyed it is easy to remove for a shower! 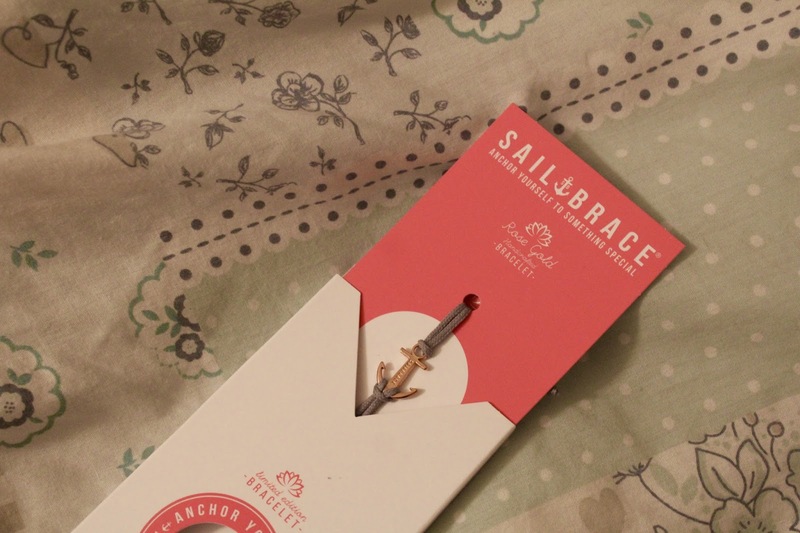 Sail Brace have only recently launched in the UK, so if like me you have completely fallen in love with the whole website then feel free to head over and purchase one yourself. 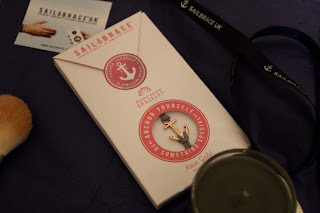 I have a 10% discount code available to you which is 'abigailjessicax' so make sure you go over to sailbrace.co.uk to make sure you get a fabulous saving! 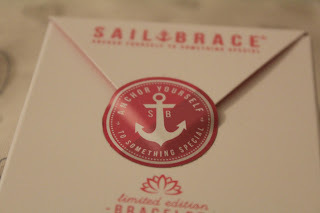 If you are interested in the Rose Gold and Grey Bracelet then you better hurry as they are limited addition! 1 comment on "More Than Just A Bracelet. *"